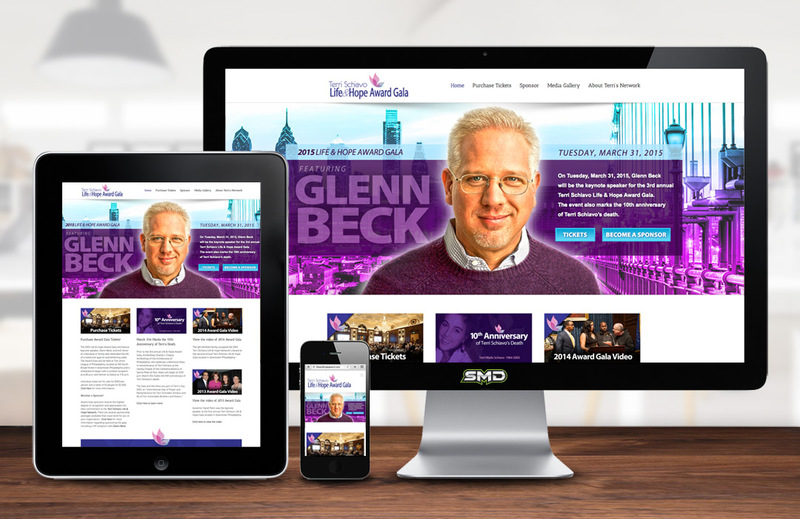 SMD worked closely with the marketing team to produce the award gala website which promotes the event headlined by radio/TV personality, Glenn Beck. SMD has worked with the Terri Schiavo Life & Hope Network since 2005 on projects ranging from branding to website design. The 2015 Life & Hope Award Gala held on Tuesday, March 31st at the Union League of Philadelphia will feature keynote speaker Glenn Beck, nationally recognized radio and television host, founder of The Blaze, and eight time New York Times bestselling author. The evening will include the presentation of the “Terri Schiavo Life & Hope Award,” which honors an individual or family who fought to protect the dignity of a loved one against overwhelming odds.